For several years, Caroline has been working every day to support women entrepreneurs in tech. Since October 2016, she has been the Managing Director of Paris Pionnières. 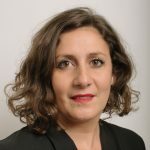 Caroline is an expert in digital strategy and was previously Deputy Head of the Digital Department of the City Hall of Paris. She also notably developed the label My Startup in Paris. Did you know that the car as we know it today was invented by a woman? One early morning in August 1888, Bertha Benz secretly took the prototype of an internal combustion engine created and developed by her husband to go visit her mother. On her way, she continuously improved the engine: she fixed a number of issues such as the engine’s overheating; she rethought the machine’s ignition, and recreated the braking system. At the end of her journey (66 miles crossed! ), the modern automobile was born. The moral of the story? Innovation through technology is nothing without innovation through usage. Gender-based innovations have indeed proved their inefficiency. Artificial hearts – a revolution for patients with heart conditions – are 86% adapted to men against 20% to women because of their size. Smart watches are supposed to be unisex but the dimensions of the straps are not adapted to women’s wrists. The consequence is, at best, missing out on 51% of the market. At worst, the consequence is putting women and children’s lives at risk, like in the case of first-generation airbags, which had only been tested on men. In France, 31% of women would like to create their own company and 69% of women believe that owning their own company is better than being an employee. Entrepreneurship does seem to be viewed as a means to shatter the glass ceiling. The emergence of a digital economy has increased possibilities for women to undertake new ventures. Nevertheless, women represent only 27% of the digital industry. In 2005, French women entrepreneurs represented 5% of the population. Today, they are 21% of the population of Paris, which makes France the European capital of women founders. For over 11 years, Paris Pionnières has actively contributed to these positive results by supporting 200 startups co-founded by women. And today, we want to go further to foster the emergence of women in tech by inspiring women executives of major companies and giving them the “startup spirit”. That is why we are launching an ambitious program with the startup Five by Five: #66miles, which aims to reveal and support “intrapreneurs” within companies. 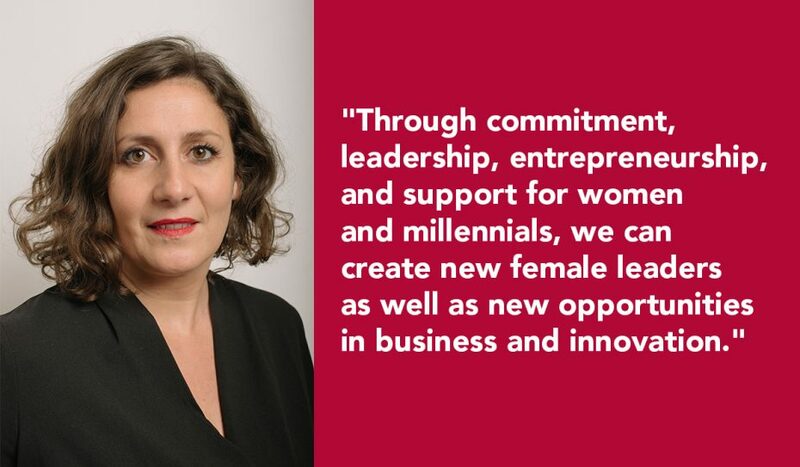 Through commitment, leadership, entrepreneurship, and support for women and millennials, we want to create new female leaders as well as new opportunities in business and innovation. Because they think about usage differently, respond to undeveloped needs and redefine the practice of leadership, women are the future of the economy. An EU study from 2013 shows that an increase from 10% to 50% of women in digital results in a GDP increase of 9 billion euros. Additionally, mixed teams increase the number of innovations breaks. However, untapped female talent is looking for ways out – women tend to leave the large companies for which they work. 67% of women aged between 25 and 30 years say they will leave their company within five years. The top three reasons for this are: the salary, a lack of opportunities to attain leadership positions and an unfulfilled search for meaning. We note that family does not appear in the top three reasons! What if these talented women did not need to quit their jobs to lead their innovative projects? Companies co-founded by a woman show perform 63% better than those founded exclusively by men, according to the New York investment fund First Round (2015). According to a 2015 study by Skema Business School, the Femina Index (companies with more than 35% women in their management functions) outperform the CAC 40. This is why empowering large groups to keep female talent in-house makes economic sense. With 66 miles, we want to inspire women, develop an entrepreneurial culture within the company and fast-track large groups into the future. 66 miles, the first innovation circuit for women intrapreneurs, is dedicated to all businesses that have understood that their innovation potential already exists internally, and that look for new ways to identify and nurture existing talent. These companies want to give their employees the opportunity to undertake: to create innovative spaces where fruitful meetings take place, potential is asserted and ideas flourish. The benefits for partner companies are multiple: heightened levels of innovation, team commitment and branding. For France, where the program is based, it holds a timely relevance: in January 2017, the Copé-Zimmermann law will require 40% of women on boards of large companies. It is now time to find the unexplored talents and reveal the leaders of tomorrow! Let’s not miss the new Bertha Benz.